A beautiful and versatile Christmas clear stampfrom Woodware. 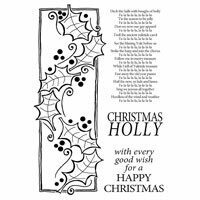 The set contains four stamps, the main panel with a trail of holly leaves and berries along with three text stamps; one with a greeting, one with 'Christmas Holly' and one with a verse of a Christmas song. 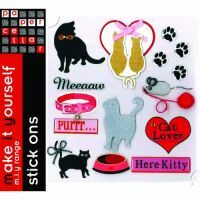 Use the stamps to create feature panels for Christmas cards or to stamp your own background designs. High quality clear stamps ready to mount on an acrylic block.